Dedicated in loving memory of my father and father-in-law. The harmony of my married life has been coming to terms with the very different backgrounds and life experiences of my father and family, and my husband’s father and family. 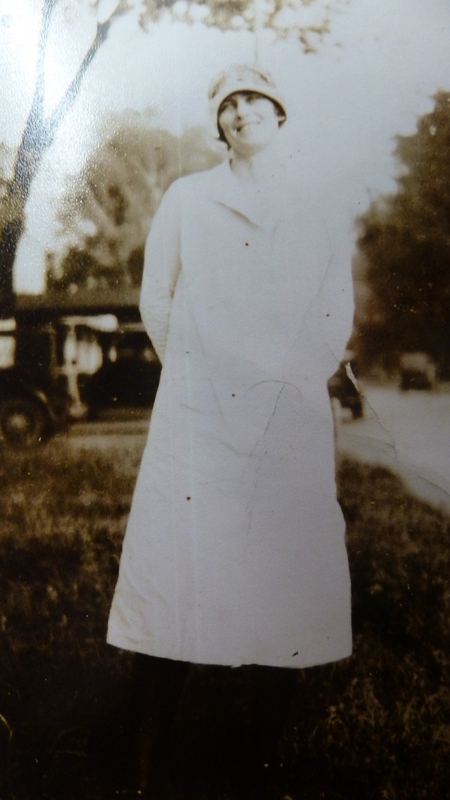 My husband’s father, Hershel William Davis, was born and raised a Methodist near Tuskegee, in southern Alabama in 1916. My dad, Vernon U. Miller was born and raised a Mennonite in northern Indiana in 1917. I’ll explore a little of the lives of these two men in a three-part blog post. Hershel’s family used to attend a Methodist Camp meeting and church here at Little Texas, Alabama. 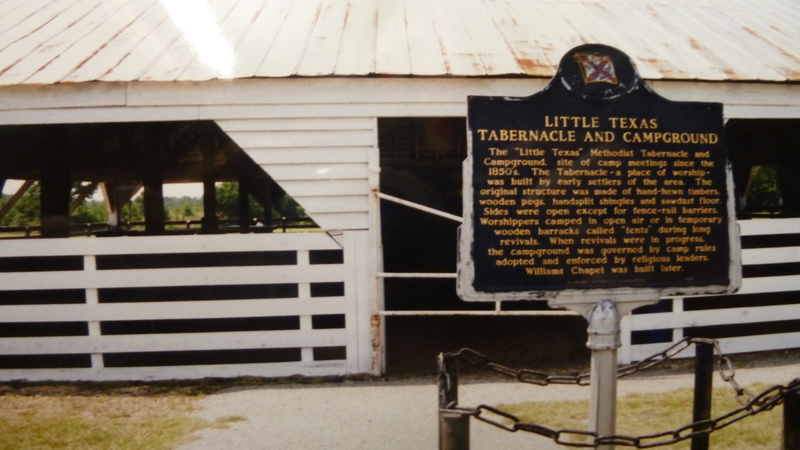 Tabernacle at Little Texas, Ala. There were five children in his family and they lived the hardscrabble lives of Alabama farmers. When 26-year-old Hershel was drafted during World War II, the army spelled it wrong and forever ever after he was known in veteran records as Herschel. 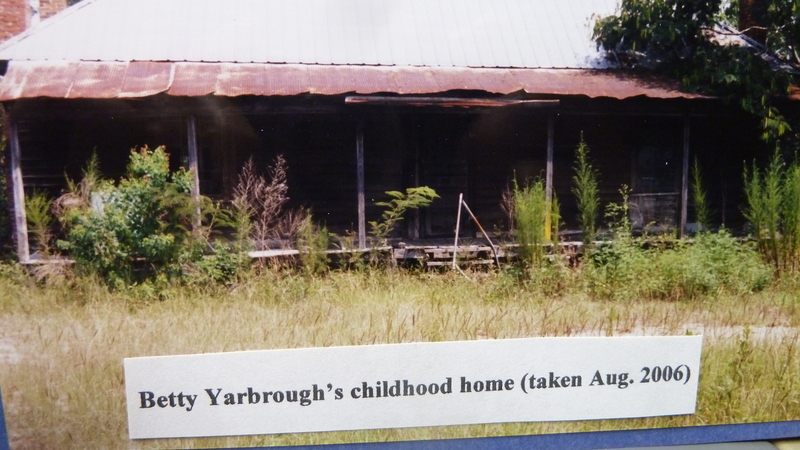 One of the tragedies of Hershel’s life was that his mother, Betty Mae Yarborough, which according to her obituary came from “one of Macon County’s large and prominent families,” died while her son was overseas in World War II. Hershel was not able to come home for the funeral. Three years after Hershel died in 1998, we learned from some newly obtained letters how much this heartache grieved him. He had written regularly to Ruth Kerns Clatterbuck, a friend dating one of his friends. In 2001, Ruth contacted me because she was a frequent reader of my Another Way column and asked whether the Davis family wanted the letters Hershel had written since she was downsizing to an apartment and needed to get rid of things. She said she had written to Hershel out of friendship and patriotic duty. 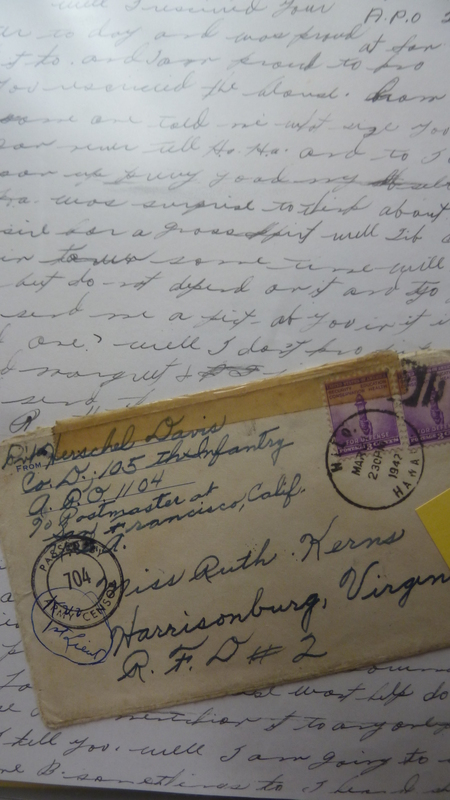 Letter from Hershel to Ruth, a friend. Hershel most likely “hired” other men to pen his letters so they would be more legible, although some of the letters look like they may have been written by him. Here are some excerpts focusing on army camp life (he was initially stationed in Hawaii), and also the death of his mother. April 1943. “Hello Ruth. You asked what I was doing [here] well, [to] tell the truth, it would be cut out or they would send the letter back telling me to write it over so see I am not allowed to tell anything; and speaking about working, we never know when we are going to be out from camp and Sunday is almost like Monday. Christmas Day we had to go out to work or go to church so I went to church but did not enjoy it at all. Eventually Hershel was wounded in combat on the island of Saipan and was sent home. This was the way he was brought up: this was what men did in time of war. World War II was an example of a “just war” if there ever was one, for how could you seriously not want to halt the horrible advances and torture and mayhem of Hitler? So my father-in-law was a product of observing many of his family and friends serving “God and country” in military service. 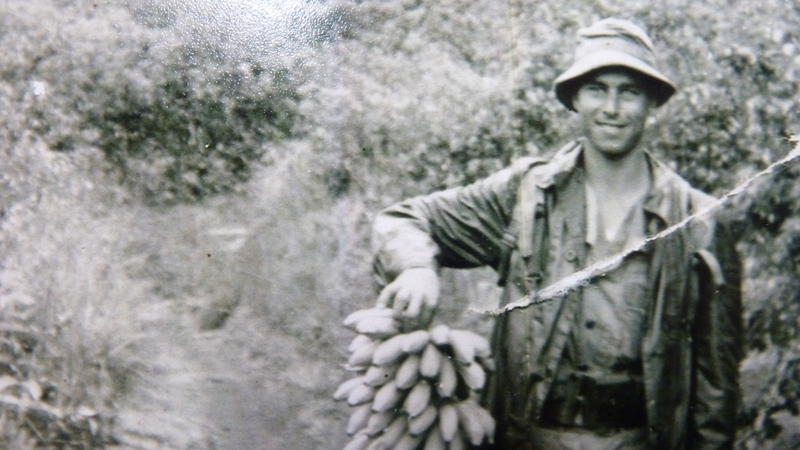 As he went off and endured the rigors and indignities of military training, missing his family, losing his mother and not being able to participate in her final services, all the horrors of war, watching his friends and comrades fight and die and then wounded himself—well, I must honor the sacrifices and commitment of my father-in-law—and his whole family, who never knew another way. So this is the family I married into, after many long and sometimes heated discussions with my boyfriend and then fiance. Could our very different belief systems somehow harmonize: find a way to come together? Check back tomorrow for Part II. Isn’t that what marriage is all about? Two people who love each other reconciling their two different views of life which was created by their upbringing. A beautiful response, Flo, thanks. It can be testy sometimes, but yet, I find I am happier as I express myself and we’re communicating. Love to hear your story sometime too! « Finding harmony across three generations as the daughter of a World War II C.O. married to a son of a World War II vet. Part II.